Human rights violators may receive another blow if the United Kingdom Parliament adopts U.S. styled Magnitsky sanctions. This could lead to a situation in which human rights violators anywhere in the world could have their assets frozen in the United Kingdom. A possible styled Magnitsky “Amendment,” is being inserted into the Criminal Finances bill, which aims to curb money-laundering and terror financing. 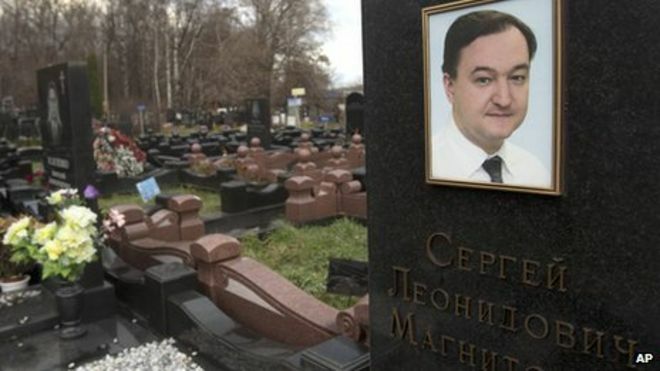 Similar to the 2012 U.S. law, the amendment is named after Sergei Magnitsky, a Russian lawyer, turned whistle-blower, who died in Russian custody in 2009 after uncovering a $230m theft from the state budget by tax officials. The tabling of the amendment is a breakthrough for campaigners led by Bill Browder, the fund manager who employed Magnitsky. If the amendment is adopted into law, both the UK Government and private parties could request the High Court to freeze UK assets of individuals or entities involved or facilitating human rights violations in any country. Thus, such parties would be unable to profit from their ill gained wealth. Further, the Amendment could also improve the United Kingdom’s reputation that it’s financial center in London is not a safe-haven for corrupt human rights violators, despots or dictators to hide their ill-gained wealth. The Amendment also comes given that the U.S. Congress is poised to adopt a Global Magnitsky Act (so-called Global Magnitsky Human Rights Accountability Act). The global act aims to extend the scope of the existing 2012 Act from Russian citizens to all human rights violators to any country in the world. Although this will certainly strain relations between the UK and Russia, the Amendment must be a welcoming tool in the fight against corruption and human rights violators enjoying their wealth. Hopefully, the U.S. Senate will adopt the expanded global act, so that sanctions can be applied beyond the existing geographical limitations. This would undoubtedly put corrupt human rights violators and their financiers on alert. However, it would be more effective if other like-minded countries, especially those of the EU and Japan, would also adopt such sanctions. I’d like to think that these types of Western laws are not a signal by the West to impose their values and norms on other countries, which is of course might be a justified criticism, but rather a signal that if and when particularly nasty characters take the misguided decision to commit human rights violations, they cannot enjoy their ill gained wealth in the West. Finally, another possible ramification of the UK and U.S. bills could be that President-Elect Trump’s efforts to warm up to Russia could be further limited by human rights related sanctions. If adopted by the U.S. Senate, the Trump Administration might find it more difficulty to achieve an election promise to improve relations with Russia. For example, attempts to resolve the crisis in the Ukraine – i.e. reports of massive human rights violations occurring in the Crimea Region and Sevastopol.